THIS KITCHEN IS IN A 1930’S BUNGALOW. 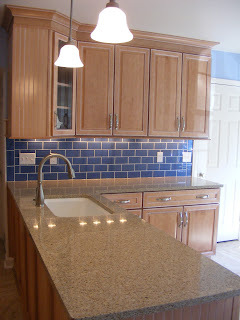 THE HOMEOWNERS WANTED A “BEACH” FEEL BUT NOT A ROOM FULL OF SEA SHELLS. 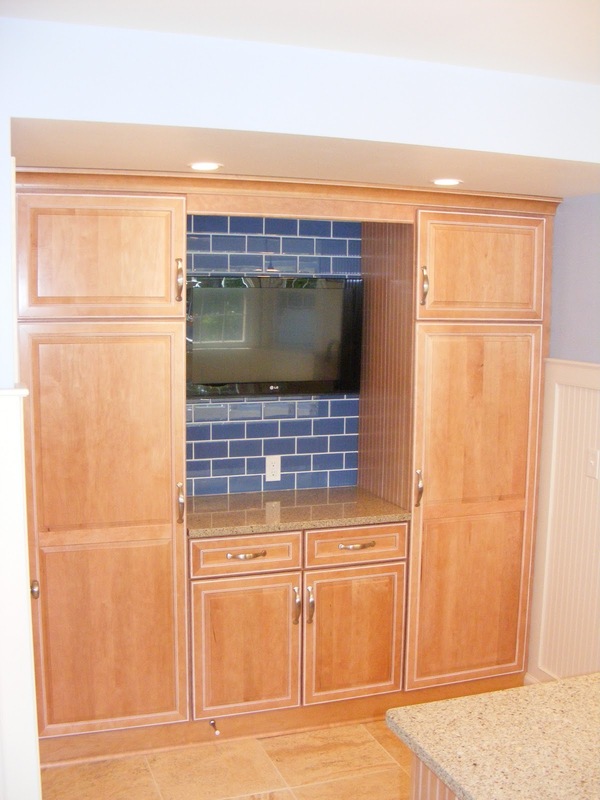 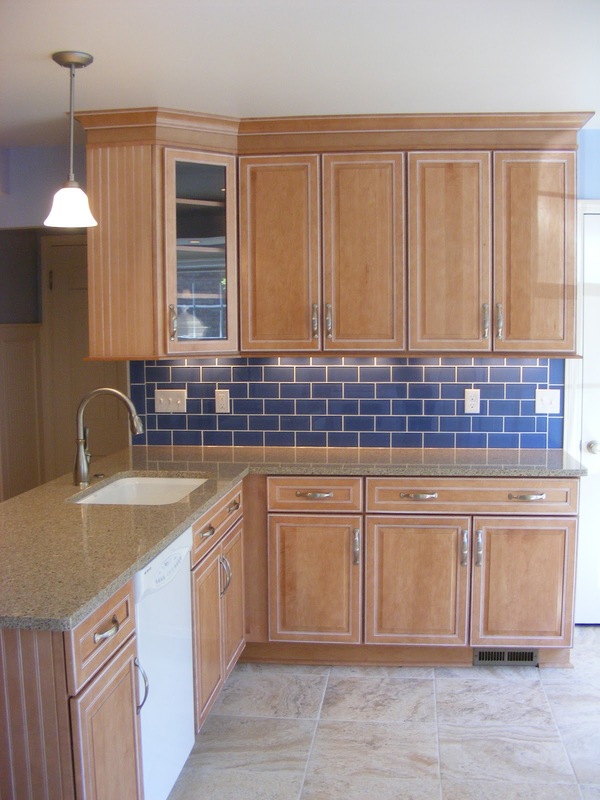 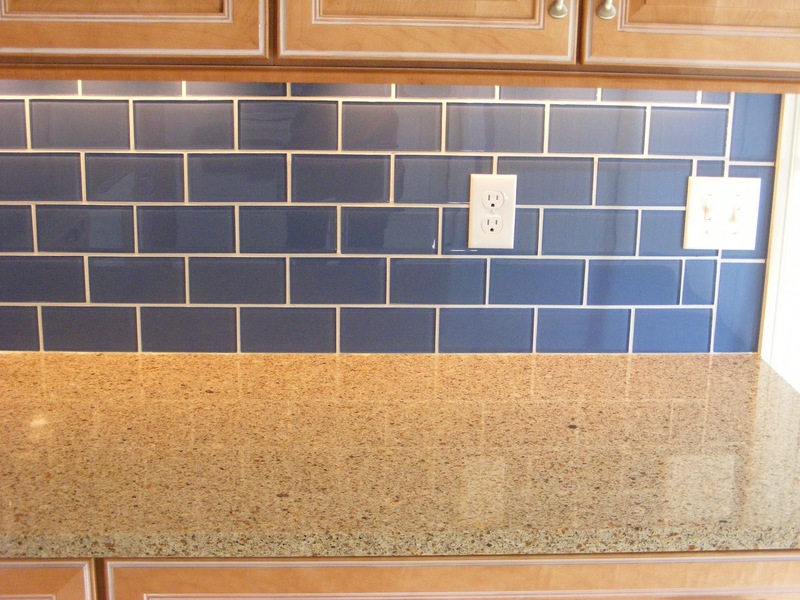 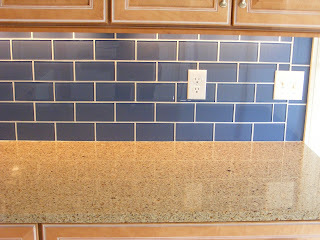 THE TILE ON THE FLOOR HAS A PATTERN THAT GIVES THE LOOK OF SAND, BLUE GLASS TILE IN A CLASSIC SUBWAY PATTERN WAS INSTALLED ALONG WITH CABINETRY WITH A GLAZE FINISH THAT CREATES AN AGED LOOK. 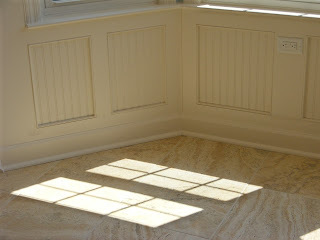 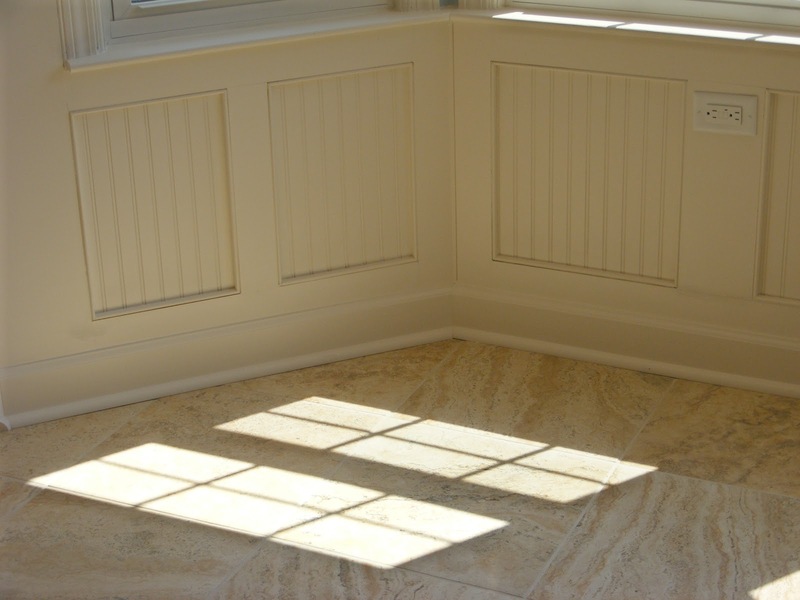 WAINSCOTING IS THROUGHOUT THE ENTIRE SPACE GIVING IT A LIGHT AND AIRY FEEL. 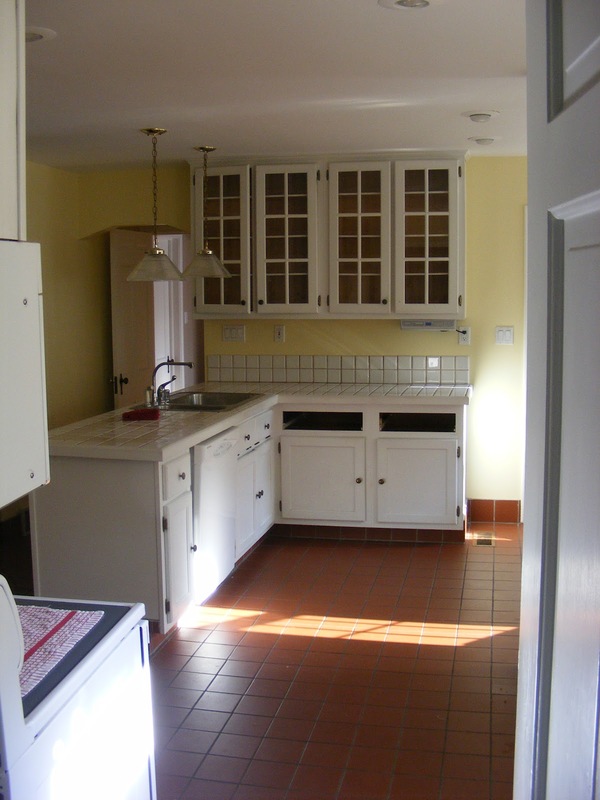 THIS KITCHEN IS IN A 1930’S BUNGALOW AND WE WANTED TO GIVE IT A MODERN LOOK BUT STILL KEEP WITH THE HOUSE ERA. 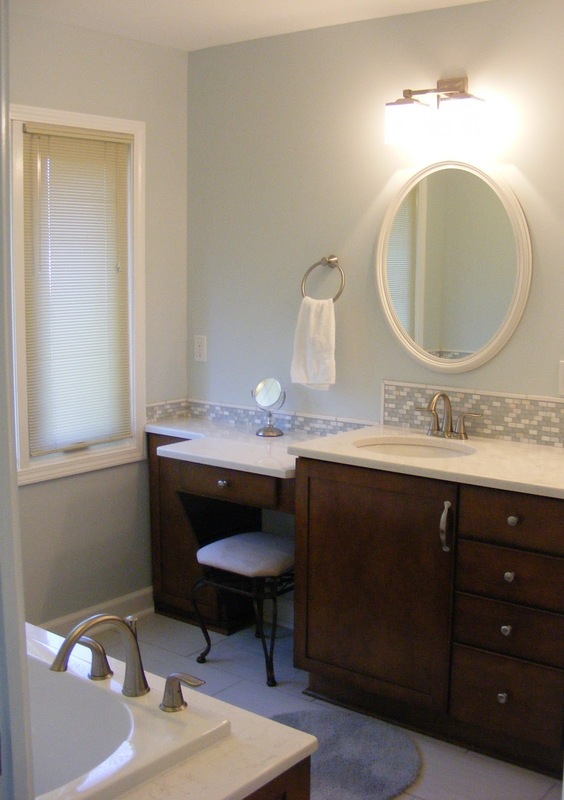 The homeowners wanted a “Serene” bathroom and we accomplished this using mainly white materials but with the wood cabinetry this bathroom still has a “warm” feeling. 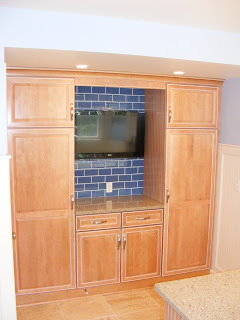 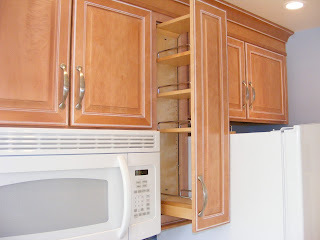 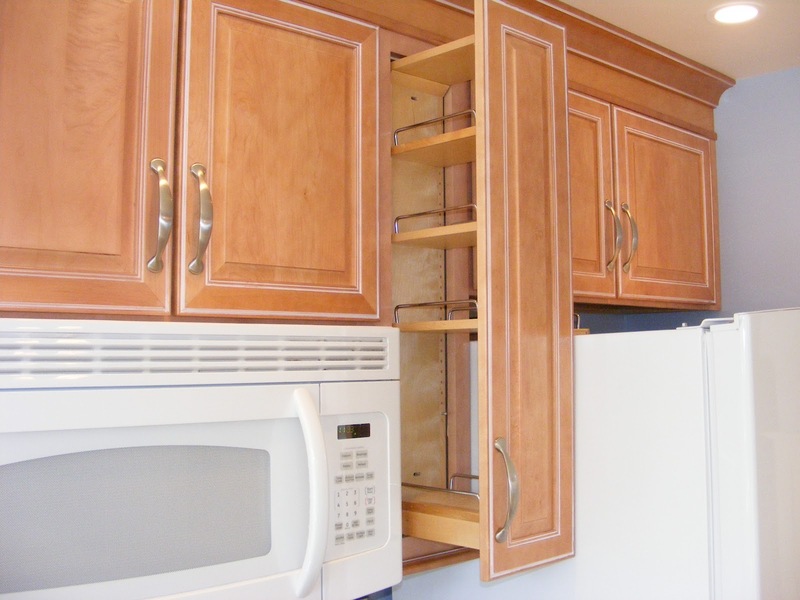 To extend the counter to the wall and not have it interfere with the window, we created a “make-up” area using a wall cabinet as a base, lowered the counter and did not make it as deep. 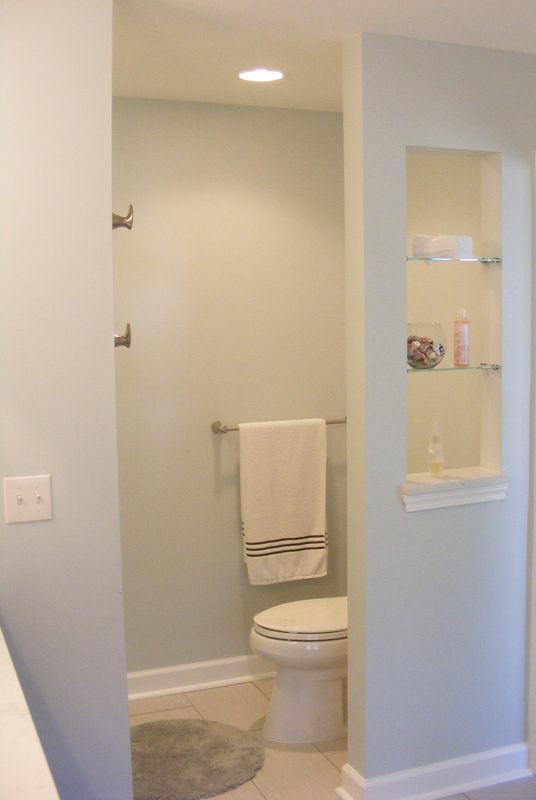 The toilet area was dark; therefore, we put and opening in the wall and added glass shelves. 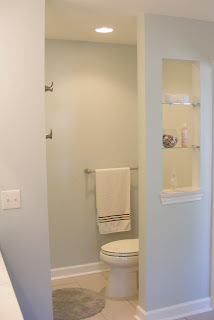 This keeps some privacy but lets in the natural light. 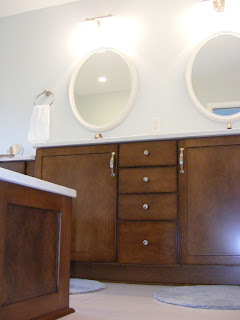 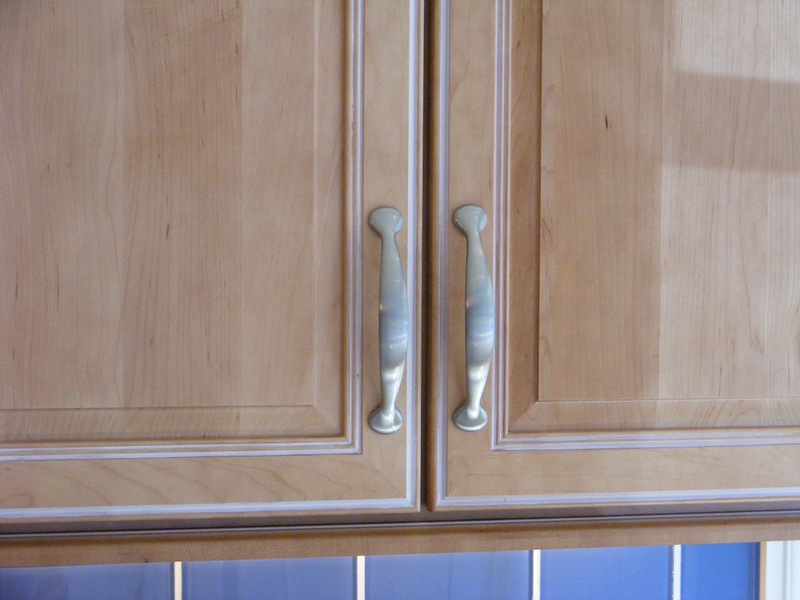 We updated this bathroom with “Merillat” Cabinets – Style: Portrait, Wood: Maple, Finish: Sable. 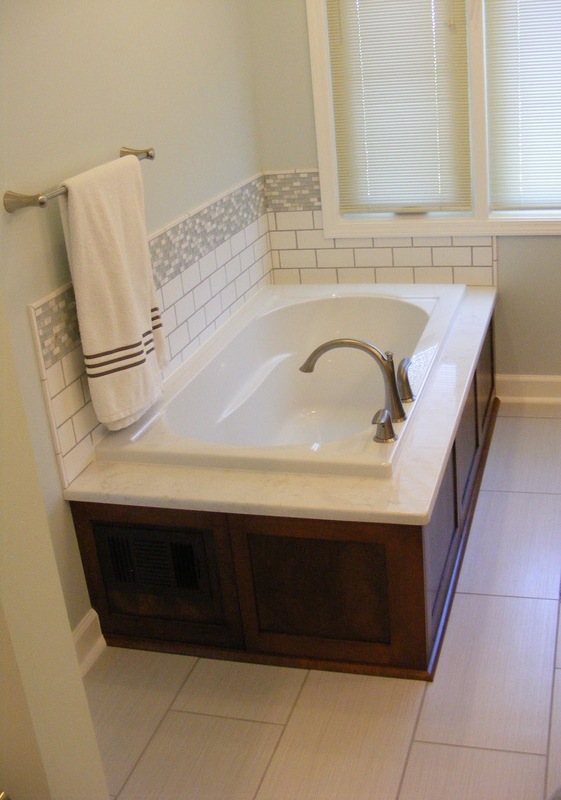 The panels around the soaking tub were built to match the style and color of the cabinetry. 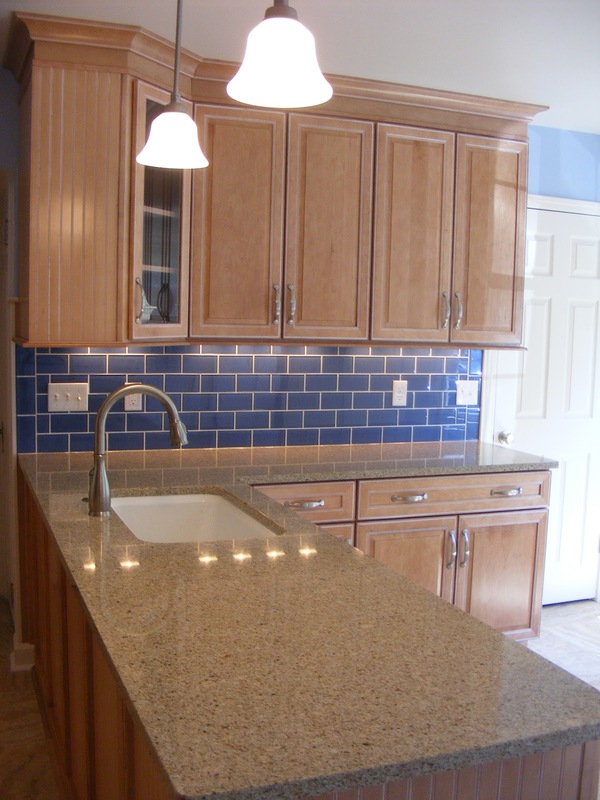 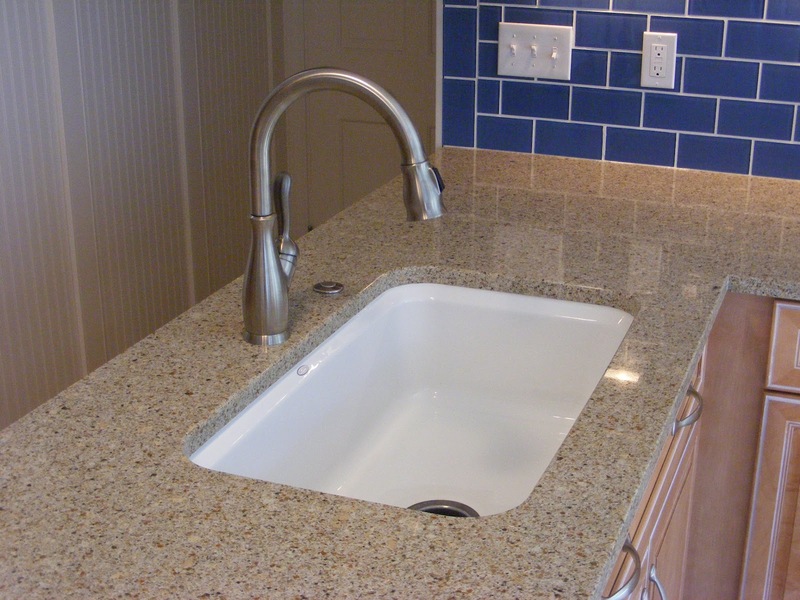 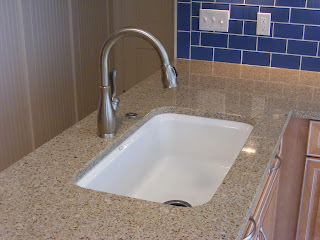 The counters are “Cambria” Quartz in Torquay with “Delta” and “Kohler” plumbing fixtures. 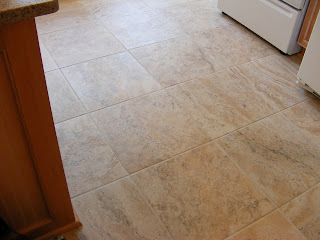 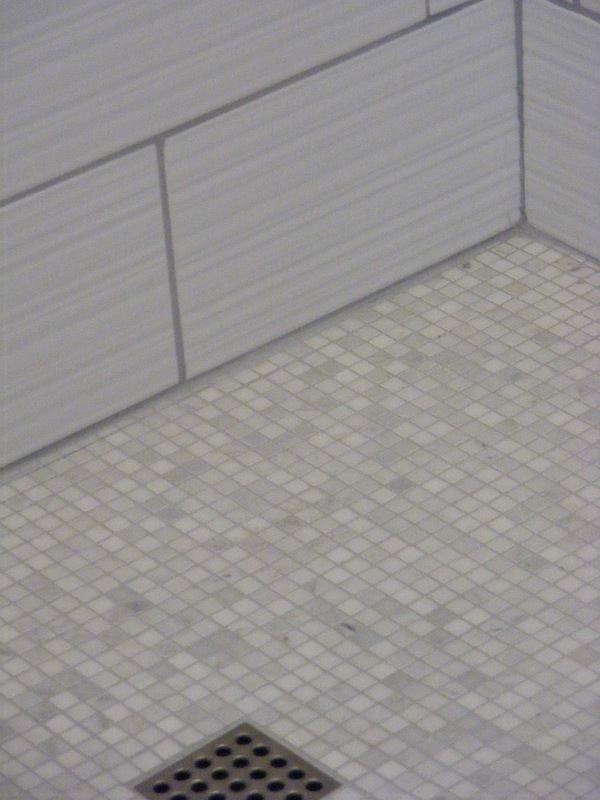 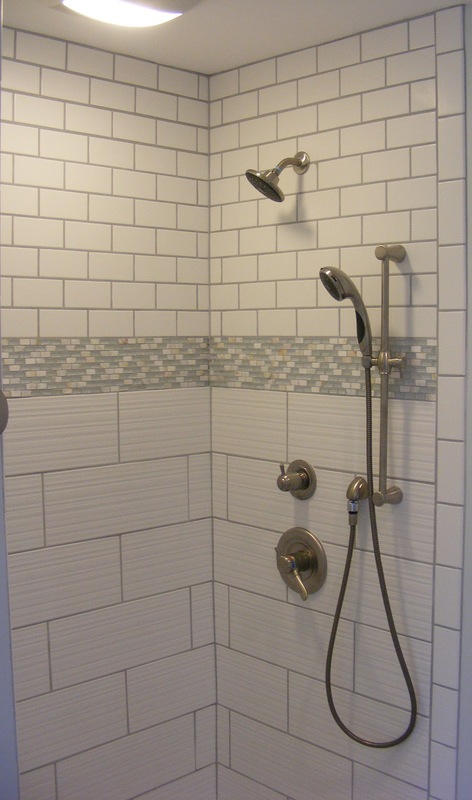 We also installed “Olympia” 12″ x 24″ Tropical Grass tile on floor in a brick step pattern on the main floor and used three different of neutral tiles in the shower to give interest. 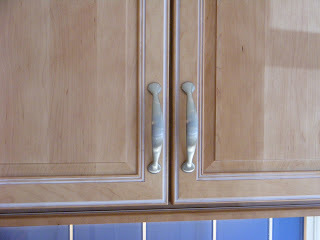 Designed by Monroe Publishing Co.